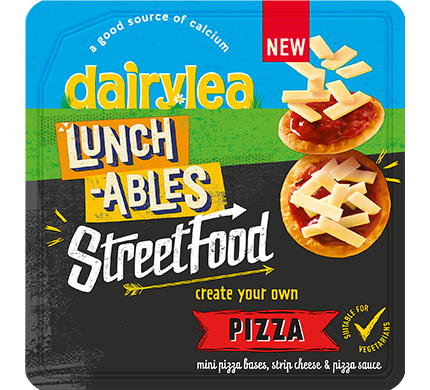 Dairylea just got even more fun! 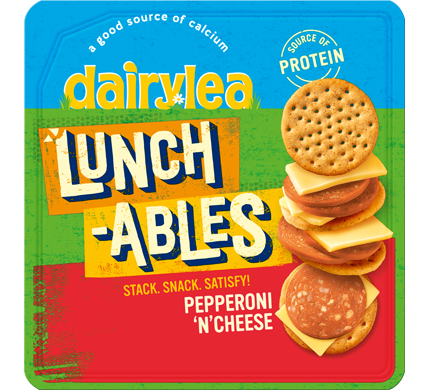 Stack 'em, snack on 'em - we're giving you full permission to go ahead and play with your food! 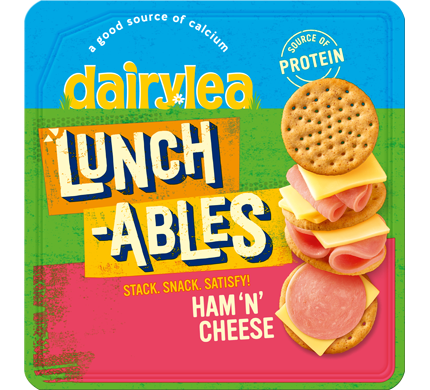 Why not pop some of our Ham 'N' Cheese Lunchables into your lunchbox? 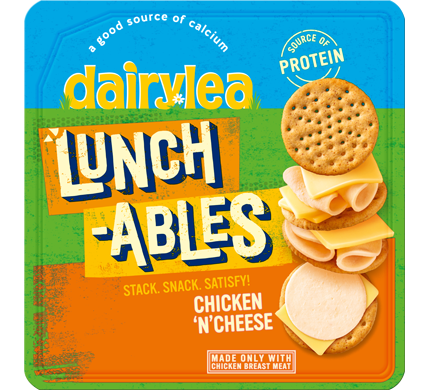 Cheese Food: Cheese (75%), Skimmed Milk (Water, Skimmed Milk Powder), Emulsifying Salts (Sodium Citrate, Potassium Citrate), Milk Protein, Butter, Skimmed Milk Powder, Whey Powder (from Milk), Vitamin D, Preservative (Sorbic Acid), Acidity Regulator (Citric Acid), Anti-Caking Agent (Sunflower Lecithin). Wheat Crackers: Wheat Flour (71%), Palm Oil, Wheat Bran, Sugar, Butter, Glucose-Fructose Syrup, Raising Agents (Ammonium Carbonate, Sodium Carbonate), Whey Powder (from Milk), Wheat Germ, Salt, Flavourings (Contains Milk), Flour Treatment Agent (Sodium Metabisulphite). Cooked Formed Ham: Pork (85%), Starch, Acidity Regulators (Potassium Lactate, Sodium Acetate), Salt, Flavour Enhancer (Potassium Chloride), Antioxidant (Sodium Ascorbate), Preservative (Sodium Nitrite).